What is Construction Management & Engineering? Construction Management & Engineering prepares students for responsible engineering and management roles in all phases of construction projects. 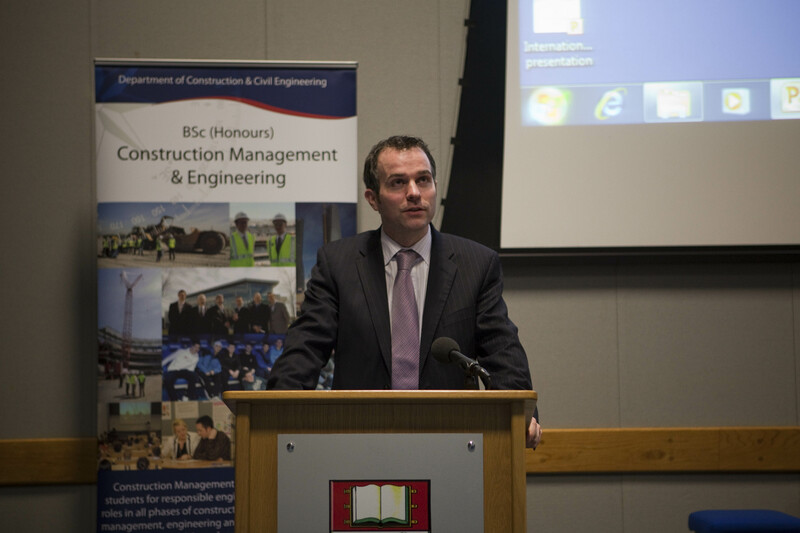 It emphasises management, engineering and technological techniques useful in organising, planning and controlling the activities of diverse specialists working in the project environment of the Irish and international construction industry. What is the BSc (Hons) in Construction Management & Engineering? The BSc (Hons) in Construction Management & Engineering is a four year course that prepares graduates for a career as professional construction managers and engineers in the Irish and worldwide construction industry. Each student is required to complete a 30-week paid industrial placement with a construction company in the second period (February to September) of the third year. The companies comprise general contractors in civil engineering, building and residential property, project management companies, specialist contractors, engineering design offices and materials manufacturers.